Explains key concepts connected to the historical and contemporary spread of English. Explores the social, economic, educational, and political implications of English’s rise as a world language. Includes comprehensive classroom-based activities, case studies, research tasks, assessment prompts,　and extensive online resources. 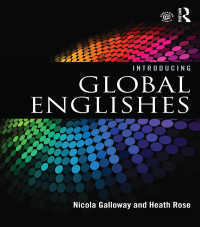 Introducing Global Englishes is essential reading for students coming to this subject for the first time.